Every morning people wake up to get their day started. Ready to conquer their work day. Ready to complete the work load they already know they have ahead. As a 9-1-1 dispatcher we get up and wonder what kind of day or night is ahead of us. Will it be busy? Will we deal with disgruntled people? Will we have to guide someone through CPR? Will we save a life today? Or will someone pass away because there is nothing else we can do? This is a lot to think about and process and our day hasn’t even started yet. It has been 14 years since I started in my 9-1-1 career and I still can’t believe I have saved lives numerous times, that I talked someone out of wanting to commit suicide, that I’ve dealt with so many emotional calls and I am still here. I have gained weight through out the years ( late night shift snacks lol), have high blood pressure, continuous restless nights from calls on my mind or from changing of shifts, forced in at times, long nights of overtime, drained on my days off, missed family functions, but I still walk through these doors and I still love my job, and try to make other dispatchers love what they do as well. I love going home knowing that people have been helped, and that their day was changed because of what I did to help them. 9-1-1 dispatchers go unappreciated all over the world. I ask “Why” all the time. We work long hours, rotating shifts, and deal with stressful situations. I remember working one night it was around 11 p.m. and we received several calls all at once. I picked up the 9-1-1 line and the caller stated a female was shot. Now at this time and the street they stated I knew my daughter walked down a few hours before. In panic I texted her while I was on the line gathering information, and thank god she was home. While sitting in dispatch waiting to hear a name, I would have never thought it would be one of my daughters childhood friends. Amber Wilson. When I heard her name I was sick to my stomach but I had to continue taking calls and continue doing my job till I was able to go home. When you are a 9-1-1 dispatcher you always hope when you pick up that line, it is no one that you know or love, and how would you continue doing your job if it is. I wanted to because I was hoping someone was going to call and give me a description or direction of flight to catch this person that did this to her. I had tears in my eyes thinking of all the times I watched her at cheer practice, watching them go through high school together all as friends, then to pick up a 9-1-1 line and hear a female was shot. This made me question callers even more, listen more carefully, and want to help my callers as much as I could. “Catch the bad guy” We have to protect our officers’, fire fighters’ and EMS responders’ lives as well as the citizens calling for help. No one deserves to go through what Amber went through. I wish one of the callers had more info. We have to be cautious of what we say, what we do, how we handle a call, because one wrong thing could change that persons life, and their families lives forever. We have everyone’s lives in our hands. I always said being a 9-1-1 dispatcher is like being a parent to the world. We guide people, sometimes give advice, instruct people what to do, give medical instructions, help capture criminals by the information we give, have to be caring, supportive and strong at all times. Sounds like a parent right? But sometimes just like a parent we don’t get appreciated, respected, or even get a thank you. This is why I do my best as the 9-1-1 coordinator to make sure our dispatchers know the job they do is so important, they are needed, they have a huge role in everyone lives, that the role they take on each day makes such an impact on our community. That “We Matter” We Save Lives! 9-1-1 dispatchers have so much to learn on a regular basis, some departments lack in training. They are not asked to participate with police or fire training, it’s like we have our own identity off by ourselves. I don’t believe this to be true at all. I have made sure that our dispatchers are included, that whatever training that they do that would involve dispatch to have that training information. 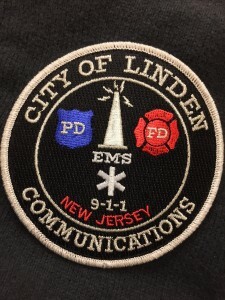 9-1-1 dispatchers are the main source and main contact through all connections. We gather all the information, we pass on the information, we keep the callers on the line, we send further resources, we keep everyone updated, we make sure all involved are safe and out of harm’s way the best we can. The hard part is sometimes it may be one person doing all of these tasks by themselves. We carry the weight of the world on our shoulders on a daily basis. We go home with it, we wake up with it, we have an emotional connection that is not easy to separate. On a daily basis we go through every emotion our callers go through. Hearing someone screaming for help, our adrenaline goes up. Someone crying because they lost a loved one makes us sad. A life that was saved do to our CPR instruction brings us happiness. We are on a constant emotional roller coaster, then we have to go home and deal with our own lives, situations and problems. So yes I love my job still 14 years later. I love training dispatchers to be the best that they can be, to be proud of what they do, to be educated to do their job to the best of their abilities, to keep them up to date with new techniques and ideas, to understand the role they play, that an officer will go home tonight because of them, that a child will have his mother or father home safely, that the caller on the other end of the line feels safe because of their work ethics. We are not just call takers, We are “Life Savers” We multitask, we type fast, we read fast, we talk clear, we talk calm, we provide instructions, we send help, we calm you down, we listen to understand not to respond, we laugh with you, we comfort you, we know you need us, but we want you to know we are human, we save lives everyday and that we matter.